A new, wearable, blood-screening device for cancer detection may revolutionize the way we diagnose and treat patients. The unit, developed by Dr. Daniel Hayes and his team at the University of Michigan, is connected directly to the veins of the patient, draws blood continuously (returning it to the body afterwards), and tests it on the fly for rogue cancer cells (called circulating tumour cells, or CTCs), which have broken off from the tumour and found their way into the bloodstream. 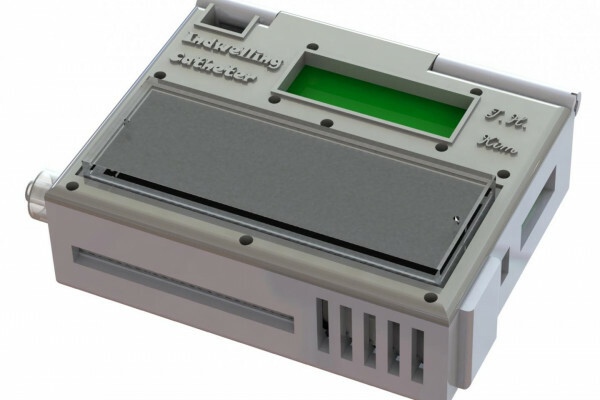 Testing has been successful in animals, and has found that sampling blood continuously with this new device is far superior to taking individual samples of blood, which is the standard methodology for cancer blood testing. “It’s as if you had a security camera that takes a picture every 20 minutes, as opposed to a security camera which takes a continuous film,” explains Dr. Hayes. Traditionally, to learn more about a patient’s cancer, doctors would perform what is known as a biopsy, which can be major and invasive surgery. The goal of the biopsy is to take a sample of the tumour in order to figure out its important characteristics and direct treatment accordingly. “Nobody wants to have a biopsy,” says Hayes. The fact that cancers evolve, change and spread over time means that cancer specialists frequently require multiple biopsies over an extended period to accurately deliver treatment, which can become infeasible. Consequently, there has been an increase in “liquid biopsies”, which are blood tests that search for CTCs. “It gives us information about a patients’ entire tumour load as opposed to a single site,” says Hayes, explaining that in addition to being easier on patients, blood tests can provide more information than traditional biopsies. But, the existing tests rely on small volumes of blood drawn at a single time from a single point on the body, and only extract a small number of CTCs. As a result, these tests often don’t provide as much information about the tumours as doctors would like. In contrast, the new, wearable system samples a much larger volume of the patient’s blood as it circulates through the body and device. This could allow patients to attach the unit and go about their lives whilst it gathers data, rather than sitting through a large number of blood tests over a period of hours or days. Initial tests were conducted in healthy dogs, who were connected to the device and injected with human cancer cells. “I want to emphasize, this is quite safe for the animals,” says Hayes, explaining that the cross-species cancer cells are naturally removed by the dogs’ immune system in hours. The study found that the device works "quite well". Compared with drawing blood samples every 30 minutes, the new device, monitoring the blood continuously, gathered far more CTCs in the same period. Each cancer carries “specific markers that let us treat that patient more precisely”, so gathering more CTCs provides doctors with a powerful tool for treatment. The future of the technology looks bright, even if it is a few years away from clinical use. The next step involves testing the device in real canine cancer patients, before adapting it for use in human trials. Can Superfoods Help Prevent Cancer? Are bacteria making colon cancers spread?